Our Ribbon Star Flex LED strip lights have a specially designed PC board that allows the strips to be bent, folded and twisted to create custom shapes, letters, patterns and irregular layouts. Available in 24VDC color changing RGB and 12VDC White (6000-6500K) and Warm White (3000-3500K) color tones. 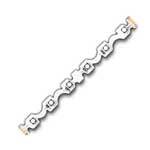 Each cuttable strip can be dimmed using a PWM dimmer or color controller. 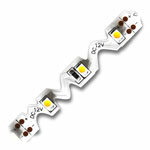 The PCB design makes them easy to bend around corners and perfect for sign lights, back lighting or accent lighting.